The tournament planner time grid is a match schedule that is automatically generated as the director sets times. It lists all the scheduled matches set at a specific location for any given day. Each location/day has its own grid and can be selected from the tournament scheduler section. The tournament planner schedule has the court / field number across the top, and the game time going down on each row. Adjust the starting and ending time along with the time increments in the tournament template setup section. Each time slot on the grid that has a scheduled game will have the division code listed at the top that is linked to the bracket. Under that there is a code that indicates the bracket format of the division, then it lists the round of the match within the division. The top half of the time slot is also color coded by round. Next to the round is a clock icon that can be clicked on to change the time to a different time slot. During a live event the tournament planner will change the color of the match based on its status. Matches that are assigned to a court / field will display a running timer and the bottom half the time slot background will change to a light blue. The referee’s name will also appear if one has been chosen. After a winner has been selected, the tournament planner time slot will be grayed out to indicate that it is finished. Underneath the tournament planner match information, the player or team names competing in the match are listed. Next to each name is a green check or a red X, which indicates if the participant has checked into the match. Click on the icon to change their check-in status. Clicking on the linked participants name in any time slot will bring up the match information on the left. In this screen shot, one of the names in the 3rd match at 6pm has been clicked. 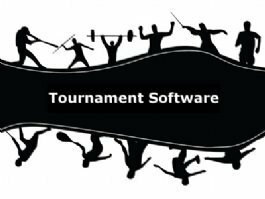 Use the tournament planner to assign live matches to courts/fields, assign officials, and to update winners and scores. At the top it shows the division name and division code of that game, along with a link to view the draw or tournament planner schedule. Below that it will indicate if the tournament management has checked them into the tournament or not, which is different than checking into each match. In this example, the top player has not yet checked in for registration and should check in before starting to compete. Assign a live match to a court / field by making a selection from the assign to court dropdown menu. Update a match winner by selecting a match winner from the menu, or selecting a double forfeit in the event no one shows up to compete. The win method is important for rankings. Most of the time the match will be played, so the default choice is “played match”. However, if one of the competitors does not show up and the match never starts, it is important to select Did not Player – WBF No Show. These matches won’t be counted when a rankings system is used. When the match does start and one of the players quits due to injury, select During Match Injury – WBF Injury. This match will count in the rankings since it started.